Chinese New Year is right around the corner and to celebrate we thought we’d create a series of blog posts all about China. 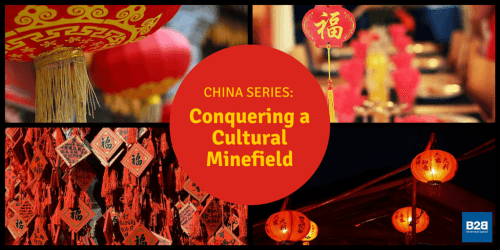 Today, in the second part of the series, we take a look at China’s cultural minefield. Enjoy! Recently, several reports of high-level faux-pas involving China caught our attention. They highlight just how important it is not just to understand the intricate nuances of Chinese culture, but to navigate them correctly. Failing to do so can prove extremely embarrassing, both in a diplomatic and business context. The first incident was perhaps more of an innocent mistake than it was downright rude, but nevertheless it shows a pervasive ignorance of Chinese culture. On the 4th February Argentine President Cristina Fernandez de Kirchner ridiculed the Chinese accent in a tweet, in which she replaced all the ‘r’s with ‘l’s. Unbelievably, she did so whilst attending a state visit to China, intended to improve trade relations and drum up investment. The response on Chinese social media was outrage, yet the government chose to ignore the incident. Although the president went on to sign 15 agreements with Xi Jinping, the tweet can have done no good for her personal reputation. It is worth mentioning that both diplomats made basic errors that are very easily avoided. The cultural minefield is exactly the same in the business world as it is in politics, and any attempts at networking in China must play by Chinese rules. Of course, slip ups do happen occasionally, and they can be laughed off… but if you really want to show that you mean business in China, then a little research won’t go amiss.